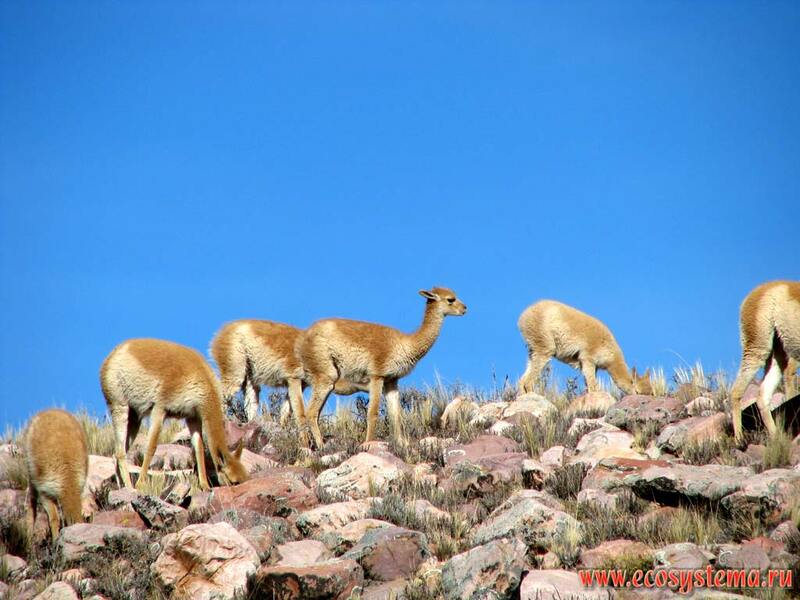 The vicuna (Vicugna vicugna) herd (flock) in the dry puna (alpine grassland). Eastern slope of the Andes Highlands. Altitude is about 3500 m above sea level.